So you've decided to home educate and you've chosen curriculum... Now you need know how to homeschool. 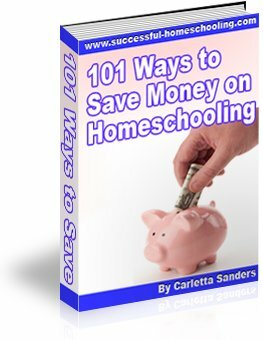 This page contains practical homeschooling articles that will help you successfully manage your home school! Organize Your Homeschool - Organizing your home school will reduce stress, while helping you accomplish more. Here are some tried and true strategies for homeschool organization. Create a Homeschool Schedule that Works! - Creating a homeschool schedule is a great first step toward accomplishing your goals. This article contains tips for creating a homeschool schedule that works, along with a video showing how to homeschool with toddlers and preschoolers under foot. Sample Homeschooling Schedules - Homeschoolers can use a variety of methods to set up their homeschooling schedules. This article contains sample schedules that were submitted by other homeschoolers, along with planning forms and a step-by-step video guide to scheduling. Homeschool Record Keeping - Keeping records for your home school does not have to be time consuming or overwhelming. Here are some quick and easy methods for homeschool record keeping, along with sample record-keeping forms. Homeschool Portfolio - Homeschool Portfolios are collections of documents, work samples and photos that can be used to demonstrate what your child has learned. Here is some information that will help you decide what to include in your child's portfolio. Homeschool School Room Ideas - Looking for ways to organize your schoolroom? Check out these inexpensive, easy-to-implement, outside-of-the-box homeschool organizing ideas! Homeschool Schoolroom Gallery - Setting up a homeschool schoolroom is a great way to keep books and supplies from taking over your home. Here are some tips for establishing a school area, along with school room photos that were submitted by other homeschoolers. Homeschool with Workboxes - Sue Patrick's workbox system has made homeschooling more effective and efficient in many homes. Here is some information about workboxes, along with photos that show how some homeschoolers have adapted the system to fit their families.